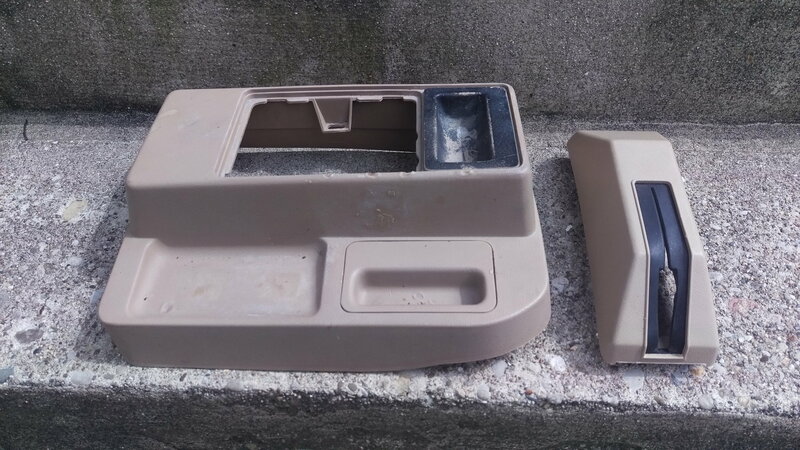 I have a tan colored mini console and e brake cover. Console is in rough shape but intact. A good clean and or paint and it will be fine. E brake cover is perfect.